A book titled "Potential for Entrepreneurial Activities in the Rural Area of Delhi: An Explorative Study" is being released on 11th October, 2013 at the National Museum Auditorium by Honourable Chief Minister, Smt. Sheila Dixit. 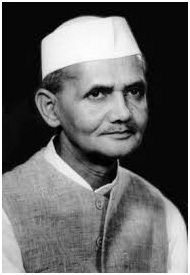 This book is based on research conducted by the Lal Bahadur Shastri Research Centre for Public Policy and Social Change. Shri Anil Shastri, Former Union Minister and Holding Trustee, LBSNMT will preside over the function. The book has been authored by Dr. G.L. Sharma, Dr. P Balamurugan and Sandeep Kumar. The book attempts to understand the issues concerned with promotion of entrepreneurship in rural areas of Delhi. The book focuses on entrepreneurial activities from three perspectives: people, processes and place and emphasizes that rural development is imperative to attain inclusive growth in India. The potential avenues for entrepreneurial activity in rural areas and policy recommendations for the development of entrepreneurial activity in the sample villages are its highlights.